Vinyl: 1 - Speed King / Wring That Neck. 2 - Child In Time / Mandrake Root. 3 - Highway Star / Strange Kind Of Woman / Lazy / Never Before. 4 - Space Truckin / Lucille. CD: 1 - Speed King / Child In Time / Wring That Neck / Mandrake Root. 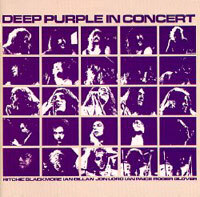 2 - Highway Star / Strange Kind Of Woman / Maybe I'm A Leo / Never Before / Lazy / Space Truckin' / Smoke On The Water / Lucille. All other editions as UK, except USA (CBS Portrait 38050/1 : June 1982) and IRELAND (Purple PD 900/1 : 198-) issued in a single sleeve. ARGENTINA (Harvest SHSP 41122 : 198- ) is a single album only with the 1972 set. GREAT BRITAIN : EMI CDEM 1434 : 1992 2CD Includes the two tracks from the 1972 show left off the LP, plus the DJ introductions. Great sound. 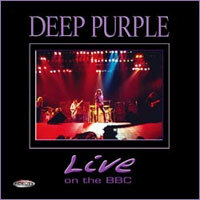 The 1972 show, with two bonus Mk 1 studio tracks Hush and River Deep Mountain High, 'remixed' from from non album-master stereo tapes. All tracks (except Lucille) also in stereo on the disc. *Playable on all standard CD players, as well as SACD players.